Caught The Sample Site Sale Craze? If you haven't discovered the numerous sample sites yet, you should. The sample sites are great ways to find bargains on name brand items and in all cases that I have seen, a considerable better price. Before I purchase anything from one of the top sampe sites such as HauteLook or Rue La La, I always price check and they are in fact marked down as they claim in the latest sale. I just received a Tommy Bahama shirt I purchased for $30 somthing that was normally priced at $120. I also received a box full of high end, delicious chocolates at a fraction of the cost as well. 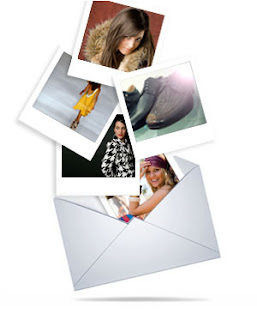 eBay has jumped on board the sample site express and it's called the Fashion Vault. You can sign up for the special alerts on new sales which is what I just did. The Skinny is another newer site but this one is dedicated to offering top-shelf skin care products at exclusive prices. Upcoming events include Bare Escentuals, Dermaquest and Perricone MD. Have any favorites? Leave yours here and get five bonus entries to any of my other giveaways.